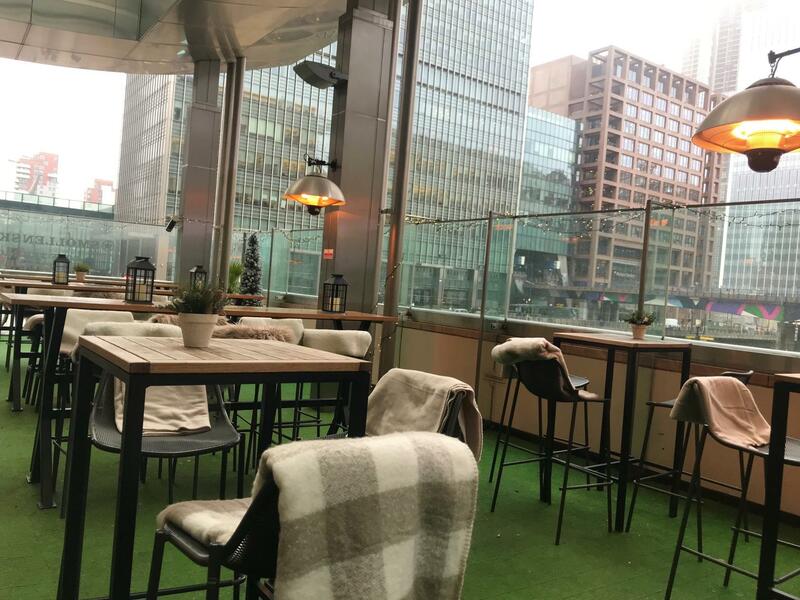 Happily situated overlooking Reuters plaza- Canary Wharf, Smollensky's terrace is perfect for any occasion and season. 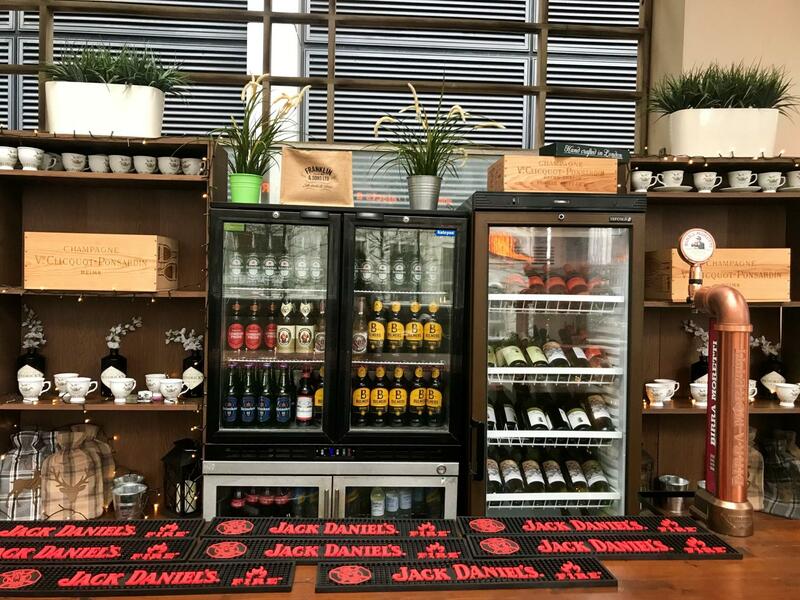 Fully kitted out with heaters, blankets and hot water bottles for those chilly winter months with a realy cozy and comfy feel make it the perfect spot to get away and enjoy a bottle of red! 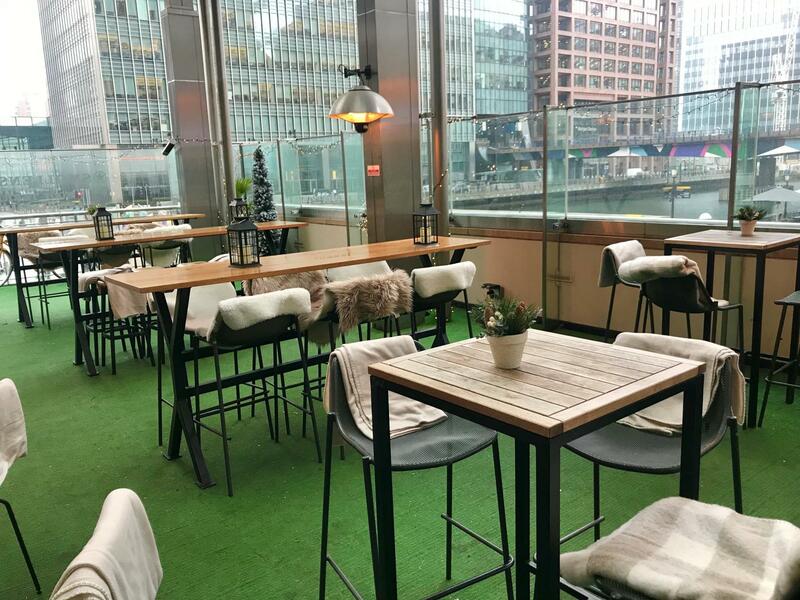 Whilst in the summer the semi open air and al fresco dinning makes the terrace the place to be! 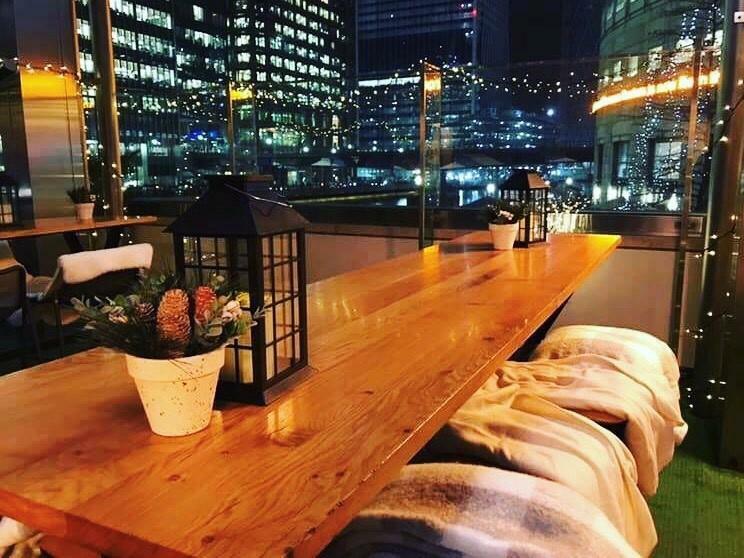 Enjoy the sun sipping prosecco or beer and make the most of the British summer with our stunning and unique views over the plaza and Canary Wharf! 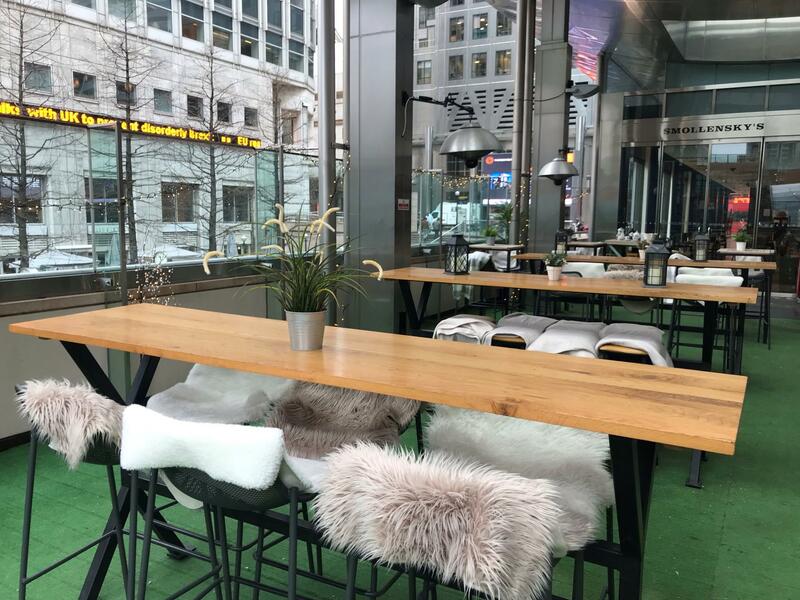 The prices listed are just a starting point and they may vary depending on the day and the time. 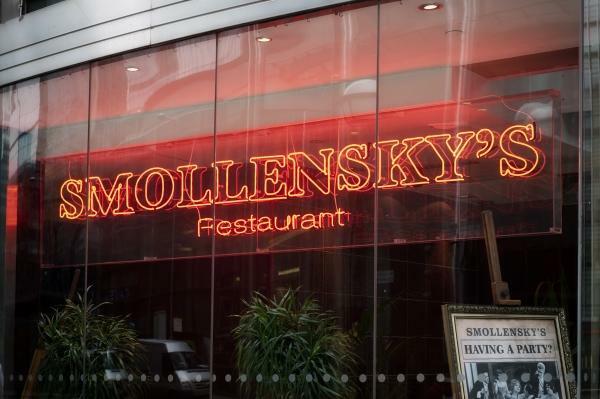 Smollensky’s Restaurant offers stunning views, an incredible Champagne terrace on the first floor overlooking the Plaza and, with so many appetizing dishes on the menu, you will be spoilt for choice!